So back at PMA we caught a glimpse of some rather strange-looking Alpha prototypes. Some time afterwards, we saw some interesting interface concepts. 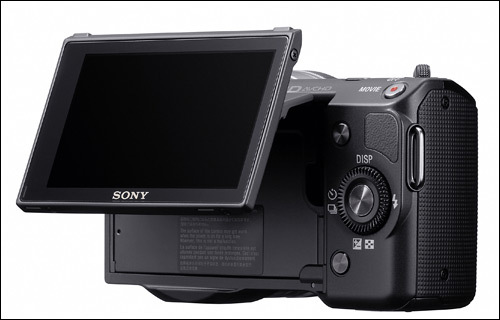 And now — well, now we’re seeing Sony’s entry into the big-sensor/no-mirror semi-EVIL camera category. If that’s even a category. I don’t even care what category it is, because this thing looks awesome. 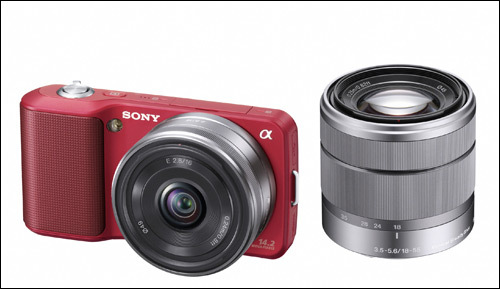 Updated with more info on lenses and the NEX-3’s big brother, the NEX-5. 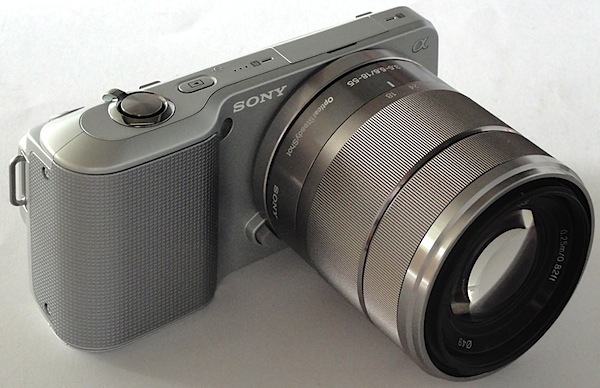 It’s called the NEX-3 and it has a nice big sensor and E-series lens mount. That lens on there is an Alpha f3.5-5.6/18-55mm, but of course you could put a nice, compact prime on there when they come out with one and make it a more maneuverable package. Update on lenses: there will also be a 16mm f/2.8 (~24mm equivalent) shipping at the same time, and an 18-200 f3.5-5.6. There will also be an adapter for your already-purchased Alpha lenses (G-series, I think). The LCD is not a touchscreen, though. I thought it was going to be, but it’s all managed via a wheel and a few buttons. Good news, though: it flips up like crazy and lets you shoot from weird angles. I like the look of the flash, too, with its adjustable height and angle. Very smart. There’s an electronic viewfinder for around $300. Sample shots and more pics of the camera over at Digital Photography School. Update: Oops! Looks like that stuff wasn’t supposed to go live yet. DPS has taken it down. 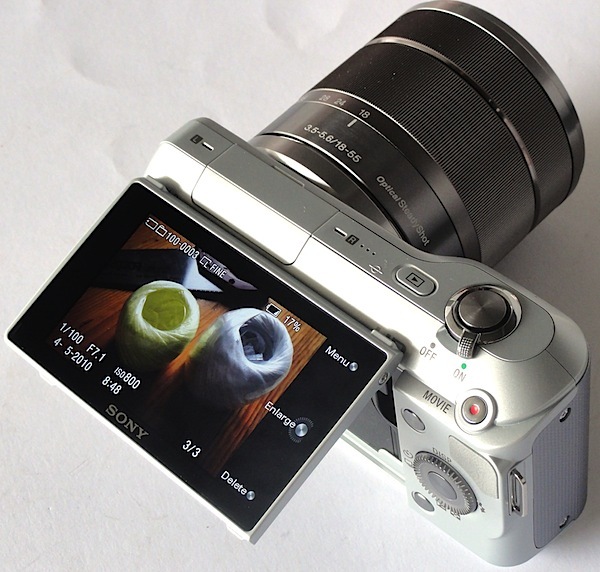 However, Quesabesde has even more info, including stuff on the NEX-5 as well. The 5 will be chunkier and will actually shoot at… 1080i? Wait, that can’t be right.